A day at Tokyo Disney was on my parents "to do" list while they visited. They thought it would be a fun place to go with the grandkids and an interesting Japanese twist of an American icon. Like Disneyland in California Tokyo Disney has two parks, Disneyland and Disney Sea. With only one day to visit the park and after a bit of research they decided that Disney Sea was the best choice. 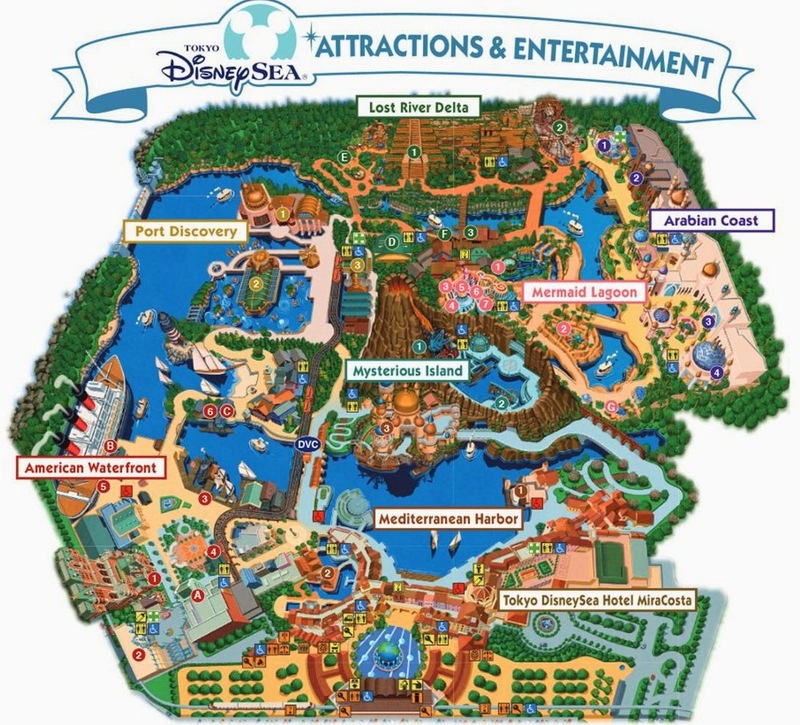 It is the first Disney theme park outside of the US not to use the "Magic Kingdom" design and the most elaborately detailed theme park in the world. We had been warned not to even consider visiting the park on a weekend so DaddyO took a vacation day, loaded everyone up in the car and headed to the outskirts of Tokyo for a day of Disney fun. Baby B was just under two weeks old so I decided to keep away from the crowds this time. After an hour and a half drive they arrived at Tokyo Disney Sea and parked for Y2,000. Being the beginning of April, the school year was just beginning and many schools were in session. A contingent of high school students still roamed the park and my parents found it interesting how many dressed up in Mickey and Minny garb. Easter decorations and flowers were everywhere. They stayed till the closing 9 p.m. show and fireworks at the park. The dragon at the end really caught CJ's attention. At just Y5,200 a ticket, much lower than in the States, and a couple of the little ones still in the free range, I am already planning on return trip with the kiddos. Fortunately yearly memeberships are not an option so I am not tempted to go more often.